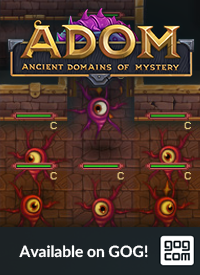 The Official Blog for ADOM (Ancient Domains Of Mystery): Full Steam release: ADOM 2.3.8 is here! An important NotEye crash has been fixed. A minor frog dialog problem has been fixed. 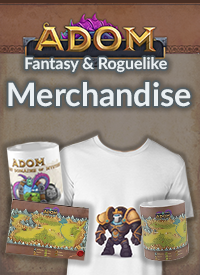 In the meantime we are already finishing up the next major release with tons of new stuff which you also can expect pretty soon now. 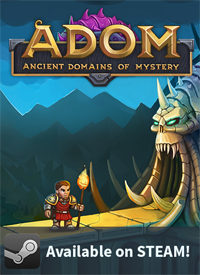 If ADOM 2.3.8 proves to be stable during the next 8-10 hours, we'll also release it as a general public release. So please test extensively! I am so hyped! Public release atlast! Please, please, please!